Are you looking for skip rental services in the Kearsley area? We have a variety of possibilities that are catered to meet your specific needs. We have domestic and commercial skip hire services which consists of a wide range of different size skips. Bolton Skip Hire, Kearsley offers skips with drop down doors – these are particularly useful if you need something that has a large capacity. Our 8-yard drop door maxi skip can hold up to 16 wheelie bins, four sofas and between 60 and 80 bin bags; demonstrating suitability for businesses who have relatively immense projects, this is because the sides drop down making transportation and waste disposal far more compliant. Perhaps you are looking to find a commercial skip hire service that provides you with the opportunity to clear out unwanted products/ material – maximising and utilising space in an effective manner? Bolton Skip Hire has the ideal solution for Kearsley. Providing you with a fast and reliable FREE DELIVERY and COLLECTION SERVICE, there is no reason why you cannot dispose of waste material with immediate effect; and as soon as your skip is full: we will arrange a time that suits you best, to collect the skip, and transport it to our landfill sites. Not sure how to choose the correct skip size? It is our responsibility to provide you with free advice and support. 4-yard midi skip – fitting up to an extra 10 bin bags and an extra sofa! We find that measuring the capacity of our skips in bin bags, sofas and wheelie bins, is much easier to visualise how big you need the skip to be! 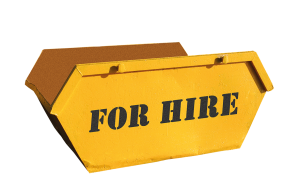 Get a FREE Skip Hire Quotation Now! Looking to Hire A Skip? Look No Further Than Bolton Skip Hire for Cheap Local Skip Hire!